The Christmas fever is not only on the radio, but my mail box is brimming with fliers that take more than a pair of hands to haul home! The green, white and red colors permeate everywhere. I am not complaining. I love this season, and I am finding out that these fliers, as painful as they are for the mess it creates and the greed that it suggests, can also be useful. Prop for photography is my suggestion. 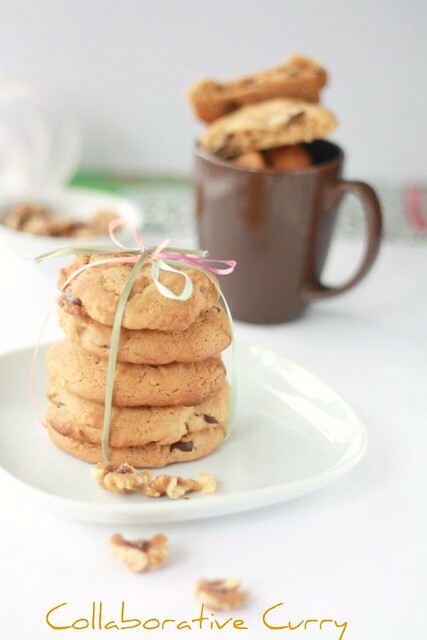 The recipe for this cookie is from 'Joy of Baking.’ It’s a nice, chewy cookie and I am loving the walnuts and chocolate chips incorporated into each bite . Last year, around this time, I made a lot of cookies with a friend of mine which I have shared on the blog. This year, I have to do this by myself, but fondly remember all my friends. During this season of love and gratitude, I have many things to be thankful for - especially friends. Whether you have a reason or not, bake some these cookies, if only to relish the decadence. 6. Now add the chopped walnut and mix. This recipe is from joy of baking website. I have not adapted much except that I used bitter chocolate chip cookie which is my personal preference. All credits to joy of baking it is a wonderful recipe. Please find the original here. Cookies look great.Walnuts are are a yum addition . wow, they have come out sooooooooooo well. What a productive use of the fliers and so prettily too! Ahh , ur dng ur bit in recycling too. Wonderful cookies and lovely pics galore! Delectable cookies & beautifully styled too! chocolate chips cookies adipoli Sunitha. Nuts and choco chips what else- they are delectable! great click! they looks so delicious! Cookies look gr8! Lovely pics too! Nice to have this cookie over a cup of coffee! Looks perfect N yummy cookies. Like to grab one. Lovely clicks. 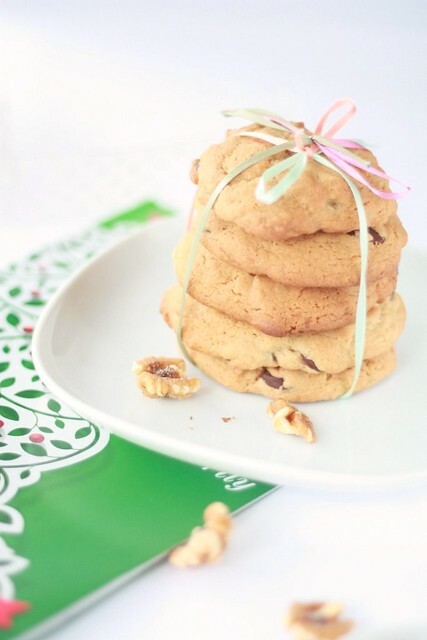 Crisp and cute cookies, walnuts is a good add. perfect cookies ...n lovely pics! nice clicks..looks so perfect and yummy!! Awesome clicks and amazing cookies..yuummmm!! 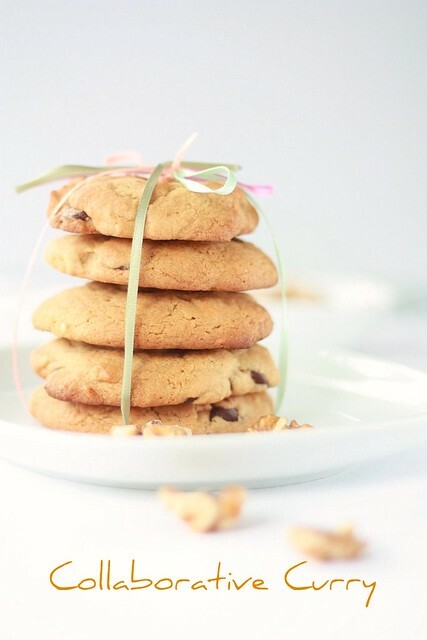 Cookies looks delicious, nice clicks! Yummy cookies... nicely presented and great clicks! Your chocolate chip cookies look homey and delicious! Homemade are always the best. Scrumptious and cute looking cookies!